The new bread in town! 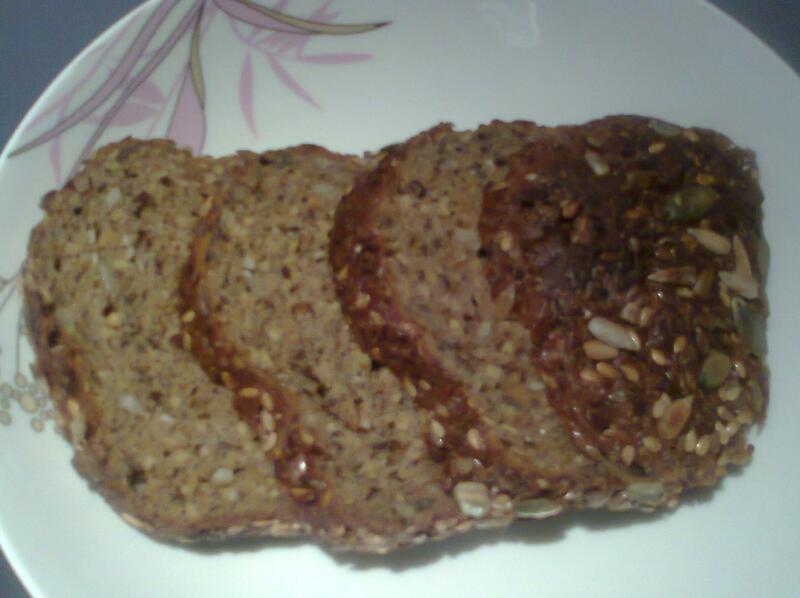 Today’s discussion is about a special bread, the Protein Evening bread!.. But before I go in detail about it, I want to discuss in general about bread itself. White bread is a typical example of carbohydrates, which in turn isn’t good for our health or our waistlines!. It’s main ingredient is white flour. People usually opt for brown bread then, but guess what?. Brown bread consists of 85% white flour!. I would suggest wholemeal bread to you, which is actually a kind of brown bread but it’s enhanced with better nutrients in it. Ofcourse, you can find more types of breads in the local market, but I am not going to list them all here. I am going to digress for a bit. But I think it’s necessary to clarify that I am not against carbs. Many think that carbs are the enemy!.. But portion control is what you have to follow. It’s best to have carbs in the morning, when you are in need of energy for your body to function efficiently. Never ever skip a breakfast. In the mid-day, have a mix of different kinds of food like fish, meat and chicken accompanied by carbs such as a small portion of rice (say 125gms). In the evening, one should have proteins and refrain from having carbs, because it increases the insulin release which blocks fat cells from being burned in the night. Here is where the bread I was talking about comes into picture! 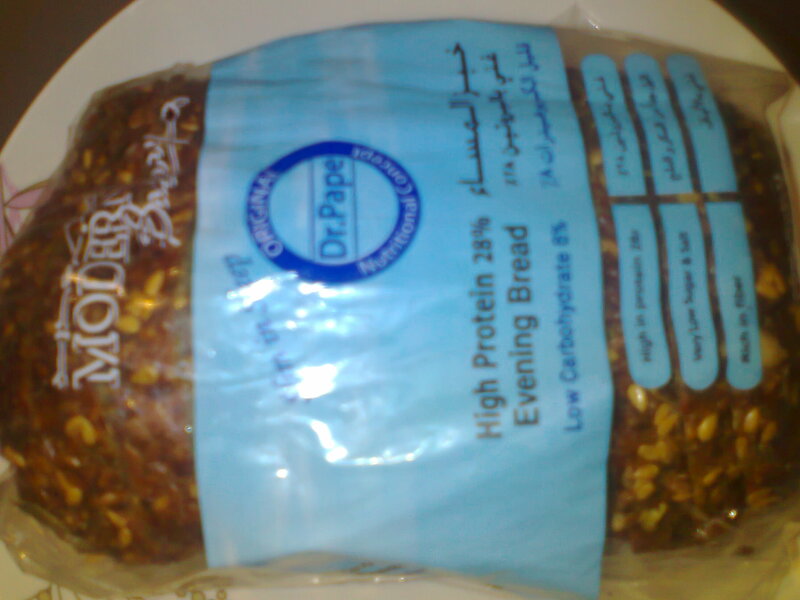 It’s the Protein Evening Bread. Yes!. A bread that has 28% proteins and a minimal 8% carbs! !… That is 4-5 times more proteins than the normal bread and 5-6 times lesser carbs… This is perfect for the evenings or for anyone who is following a low-carb diet. Appearance : Light brown in color, with every inch of it covered in different types of seeds. The crust is a dark brown and has seeds on it too. Taste : It has a slightly crunchy crust, while the inner part feels slightly moist and you still feel the seeds in it, but they are not crunchy. It has a very wholesome feel to it. Some people generally associate healthy food with food that tastes not so great. But with this bread, I actually felt it tastes really good. Size : A whole pack of this bread comes to about half the size of a normal pack of jumbo wholemeal bread. The slices are small and each pack contains 12 slices. Incase, you have already tried it or you read this post and then decided to try it out, please share with me your thoughts on it. ← Review: Chocomania body butter from The Body Shop! naz.. how can brown bread hav white flour? It’s the ingredients that make white bread and brown bread different. A particular part of bran called cerealine gives the brown color to brown bread. Bran is really good for your health. Brown bread contains 15% bran while in white bread, its completely removed. Will be trying this bread.i hope I find it at lulus in al ain. In Lulu, you do get multi grain or whole grain or whole cereal breads but not sure you will get the protein bread there. Thank you for stopping by! i tried this bread and its really tasty. Try a sandwich with grill chicken and veggies and it really filling and healthy too. Hi Sanaa.. Sorry to hear that you dad has been diagnosed with diabetes. McVities biscuits available at all stores are very good. Chocolates / sweetner from the brand Canderel is excellent too in case he has a craving for sweet things. Thank you for following me! Review : White Lily & Ginger Foam face wash by Herbline Essentials!